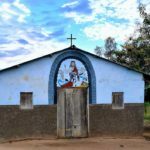 One of the oldest churches in the world sustained damage last week in the intensified fighting between the Turkish government and Kurdish separatists. Rocket-propelled grenades destroyed a portion of the wall surrounding the Virgin Mary Church in the southeastern city of Diyarbakir on 28 Jan. The Syriac Orthodox church is 1,700 years old. Fr. 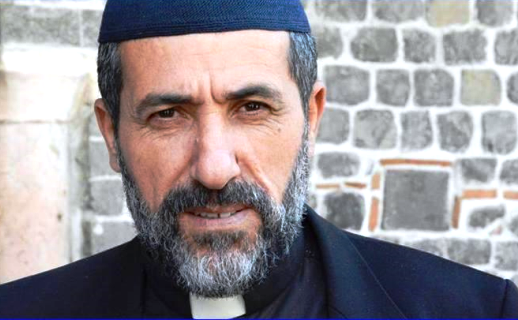 Yusuf Akbulut, the priest of the church, was sheltered with his family at his home, located on church grounds, during the attack. Violence has engulfed Diyarbakir’s Sur district, the location of the church, since early December. The government issued an evacuation order on 26 Jan. due to pitched street battles between armed militants from the Kurdistan Workers’ Party (PKK) and Turkish forces. Fr. Akbulut, who has overseen the church for 23 years, initially refused to evacuate. 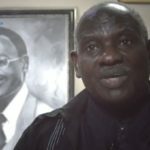 He and his wife remained in the building until 28 Jan., saying he feared the church would be levelled in an aerial bombardment if left empty. The power, electricity, and water were cut off. It was time to flee. Fr. Akbulut dialed 155, the police emergency line. He was told that his neighbourhood was a no-go area, barricaded off to civil authorities. The operator gave him instructions on how to escape. They stepped out on the street cautiously, with Fr. Akbulut waving a white flag. Nobody was there. Whole buildings were collapsed, reduced to piles of rubble. “It was like a war zone,” he said. Fr. Akbulut and his family are staying in a hotel for the foreseeable future. 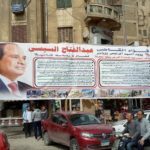 Ongoing clashes in the church’s neighbourhood prevent their return. But controversy has followed him. He has fended off reports from the Turkish media that his church had indirect involvement with the PKK. Turkish newspapers claimed on 30 Jan. that a cache of ammunition and explosives was found on the site of Virgin Mary Church. Fr. Akbulut said that he knew nothing of this cache while he was there, and that it was likely deposited after he fled. Syriac leaders blasted the reports for insinuating that their church could have any link to violent terrorism. Turkish Protestant church leaders have condemned the PKK violence, raging for the past two months, issuing a joint call for the state to show justice and mercy to its citizens. In early January, a 12-person delegation came to Diyarbakir to issue a statement calling on both sides to seek a peaceful solution. “We came to beg all parties to take steps towards peace to escape from this spiral of violence,” said Ihsan Ozbek, leader of Turkey’s Association of Protestant Churches. The pastors met with the district governor, Huseyin Aksoy, and Diyarbakir mayor, Gultan Kisanak. The violence in Diyarbakir has engulfed other Christian fellowships. 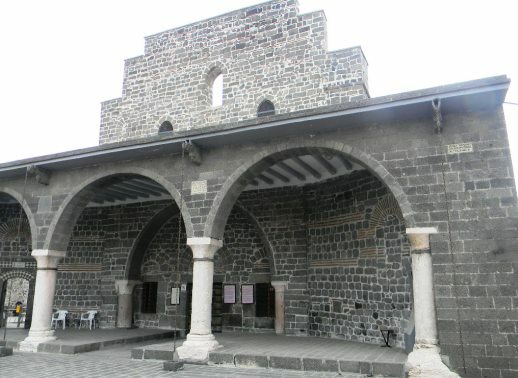 Members of Diyarbakir Protestant Church, located directly across the street from the Virgin Mary Church, couldn’t hold regular services in their building for two months. They met in an alternative site throughout the winter but resumed their meetings in the church three weeks ago. When the attacks started last Wednesday, three members of the church in the building immediately fled. Following the advice of the Turkish security forces, they also waved white flags. Protestant pastor Ahmet Guvener, a friend of Akbulut, called the priest repeatedly to convince him to flee the neighbourhood. “The bombs started going off every hour. 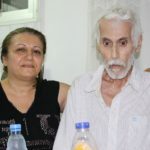 We called Father Yusuf multiple times to try to get him and his wife to leave,” Guvener told World Watch Monitor. Guvener and Fr. Akbulut both said none of the attacks specifically targeted their churches, which are caught in the ongoing violence between the Turkish military and the PKK. Fierce fighting has escalated across southeastern Turkey since the end of a two-year ceasefire in July 2015. Youth members of the PKK declared self-rule over large parts of Sur, digging trenches and building barricades to keep authorities out, according to Al-Monitor. 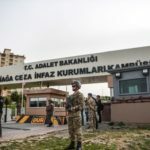 A military statement in the official Anadolu Agency said Turkish forces have so far killed 500 PKK fighters in the southeastern town of Cizre and 149 in Sur since December. According to the pro-Kurdish People’s Democratic Party (HDP), the government has imposed curfews on many predominantly Kurdish towns and cities. To date, at least 161 civilians, including dozens of children, have died in the violence. Fr. Akbulut was insistent that he stay in the church as long as possible, even at the risk of his own life. He considers the church indispensable for his congregation, and for Syriac Orthodox Christianity at large. The church is of enormous importance to Eastern Orthodoxy, having produced theologians and patriarchs in the early centuries of Christianity. It holds relics such as a piece of the cross and the bones of the apostle Thomas. The Virgin Mary Church was recently renovated with funds collected from the Syriac diaspora in Europe. Artisans and masons restored the church’s mosaics, hand-carved walnut tree doors, stone and brick walls, and silver lanterns. Fr. Akbulut leads a congregation of 40 members. He speaks Syriac, a language closely related to Aramaic, the language of Jesus and his disciples. The congregation represents a tiny remnant of Syriac Christianity, an ancient Eastern Rite Church still found in Iraq, Syria, Lebanon and Turkey.